Having been very quiet for some time, Sister Mary, formerly known as Mark Instinct, has been hiding away these past few years to work on his mental health and conscious evolution, leading to a lot of exploration and self-awareness through personal isolation. As he beautifully stated, “some things are meant to be learned in the dark.” In that time, the producer shed layers that were necessary towards gaining a new sense of himself as an artist, voluntarily throwing everything he once knew into the fire to try and make sense of it all. With this newfound perspective, Sister Mary emerged from the smoke and flames, like a dark, faceless phoenix poised to wreak havoc on the conventional bass music expressions. The faceless nun: the reflectionless mirror, the ethereal powerhouse, the next chapter to the producer’s path and artistic vision is something to be feared and simultaneously lusted after. 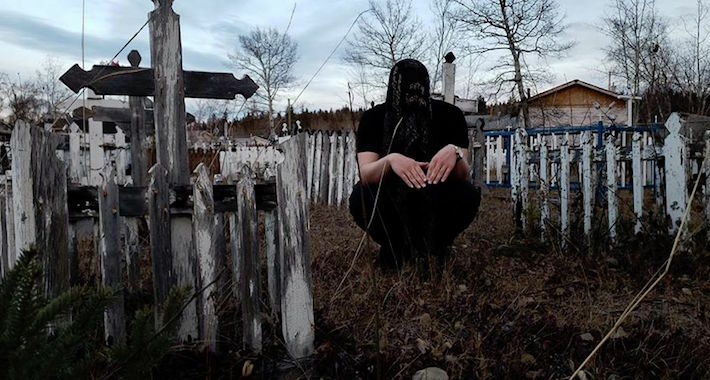 Sister Mary has proven itself a project beaming with boundless creative expression with overtones of tortured darkness; a darkness that the producer seems to have a solid grasp and understanding of through his work, as every piece is curated with presence, raw emotion, and authenticity. Following the release of Sister Mary’s 7th Incision through Aufect Platinum comes Omega, the self-proclaimed darkest parts of Sister Mary’s psyche. With the tense atmospheres of a horror movie score and the grit of what today’s most ruthless bass music could only dream of achieving, Omega is heaven for lovers of the darkness. Sister Mary’s Omega can be purchased here.